* ON SALE NOW TILL? look at these camera deals! To do the best job possible in making personal protection and safety products available to the public. To Represent each and every manufacturer in a professional and dignified manner. This page is especially dedicated to TASER® because I believe the C2 is the finest and most powerful personal protection device available today. To help market a sensible alternative to the very lethal hand gun, that will still give us, the powerful self defense we need. A hand gun alternative that my wife loves and is not afraid to use. 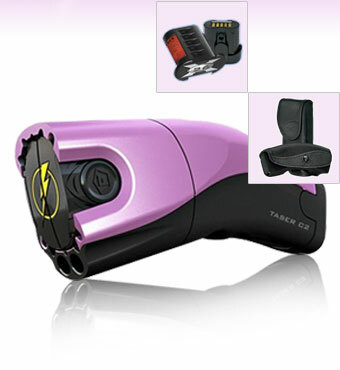 The idea of the TASER® C2 is to create the ultimate in personal defense without lethal force. This has certainly been accomplished with "actionable effectiveness at a distance" no other weapon can give. With the exception of a gun and maybe a well trained knife thrower but with deadly force. The Personal TASER® C2 does not kill, does not lame, but does stop bad people. "TASER ® C2 is a Registered trademark of TASER International Inc."